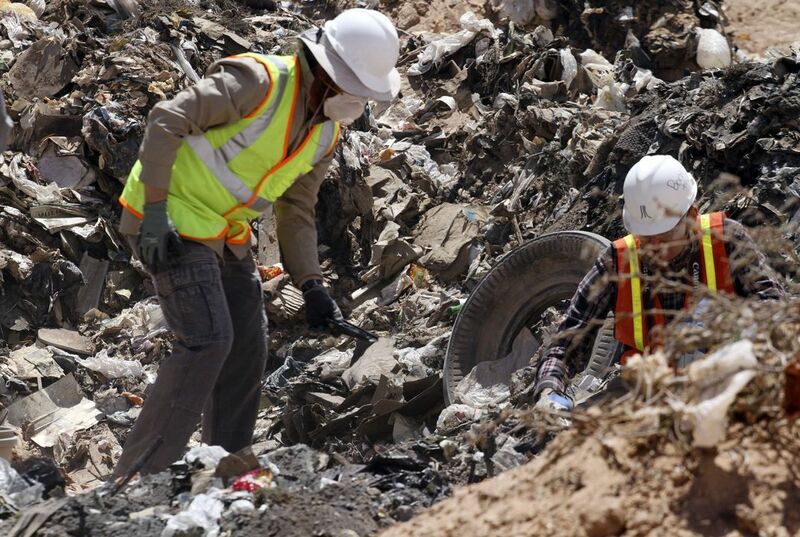 A cache of Atari game cartridges dug up in a New Mexico landfill last year has generated more than $100,000 in sales over the last several months. The April 2014 dig ended speculation surrounding an urban legend that Atari had discarded hundreds of games, including "E.T. The Extraterrestrial," more than 30 years ago, reported The Alamogordo Daily News. A film crew documented Joe Lewandowski as he dug up the Atari cartridges. In addition to the "E.T. The Extraterrestrial" cartridges, Lewandowski found more than 60 other titles. Atari's E.T. game, based on the Steven Spielberg film, was released in 1982 after only 34 days of development, and it earned a reputation as the worst video game ever created. 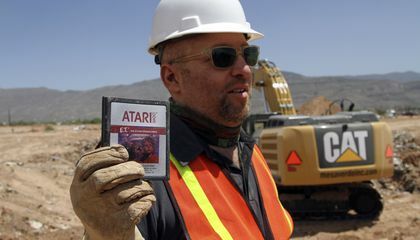 It didn't live up to its financial expectations and is considered by many to have contributed to Atari's demise, as shown in Zak Penn's documentary "Atari: Game Over." The 881 games sold on eBay brought in close to $108,000, Lewandowski told the Alamogordo City Commission, with buyers coming from 45 states and 14 countries. Twenty-three games also made their way to museums around the world, including the Smithsonian in Washington and the Deutsches Film Museum in Frankfurt, Germany. Lewandowski said there are hundreds more cartridges. "There's 297 we're still holding in an archive that we'll sell at a later date when we decide what to do with them," he said, "but for now, we're just holding them." The city will receive about $65,000 from the sale of the games, $16,000 will go to the Tularosa Basin Historical Society and about $26,000 will go toward expenses such as shipping fees. Why are people buying these games if they're so bad? The reason people are buying these horrible games are because they are very rare and a piece of gaming history. This shows an intriguing change in the perceptions of mankind. When these games were first developed, Atari could not sell them at all and ended up throwing them away. Yet because so few of these games survived, they became very valuable, to the point of being worth over a hundred dollars each. My reaction to this article was of corse it wasn't a good game it only was made a little of over a month. The reason why they got so much money was people payed for the game then after they realized it wasn't a good game. People buy them because they played the games when they were kids. People are earning a lot of money for video games.They are also earning money for the worst video games.I wouldn't buy the worst video game. People are earning a lot of money for video games.They are also earning money for the worst video games.I wouldn't buy the worst video games.Also I wouldn't buy the worst video games for a lot of money and because they are the worst video games.Those are some reasons why I would not buy the worst video games. I don't know why someone would pay that much for a bad game like that. I believe that people would spend so much money on terrible video games, not because the use of it, but the value. For instance, someone would buy this game because they are antique collectors. Or because of the sentimental value that would bring back memories. I personally would not spend so much as a dime on the video game, unless I was to sell it for more than I purchased it for, meaning there was a profit. This may or may not be how some people feel about it also. People are probably buying them to collect them, but not play them. People are buying these games because they want to sell it at a different price or just keep it to sell it for more when it costs more in the future. I believe that people think they are so valuable that they use their money to get them and try them for themselves. Personally I wouldn't buy a game rated "worst game" especially not at that amount of money!